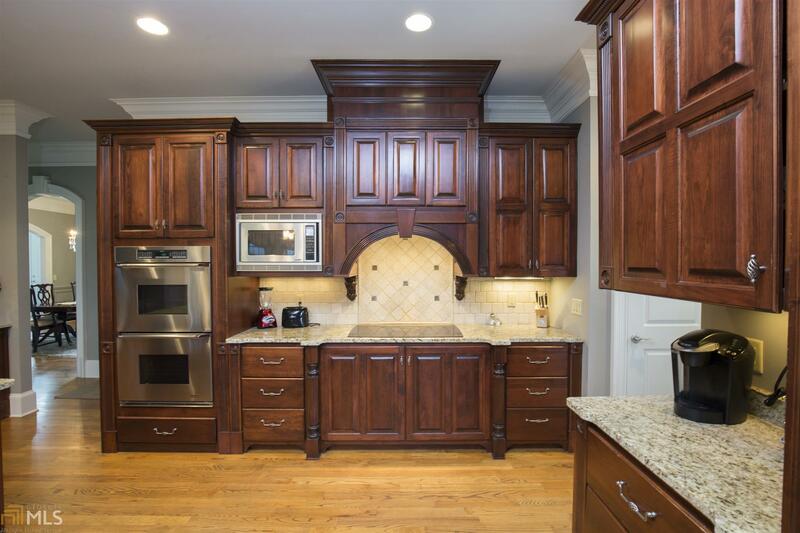 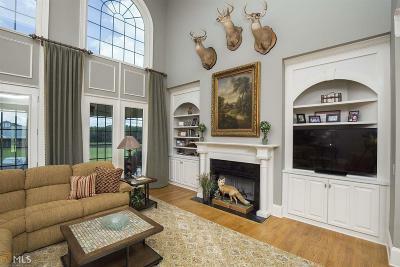 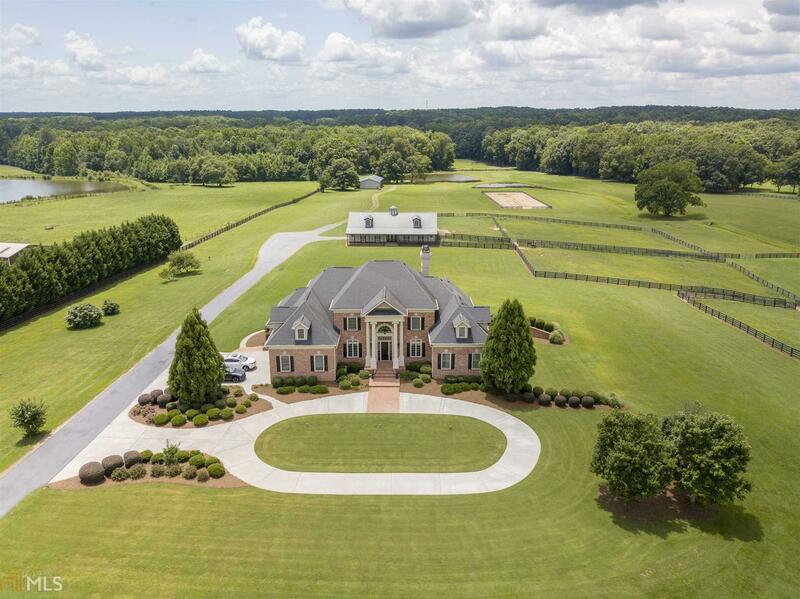 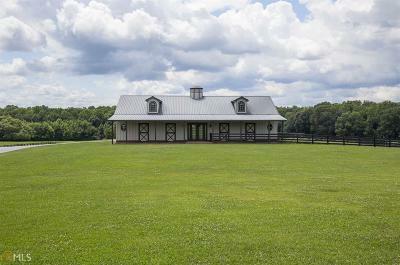 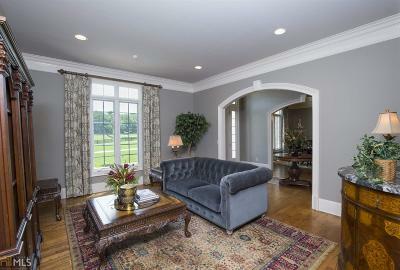 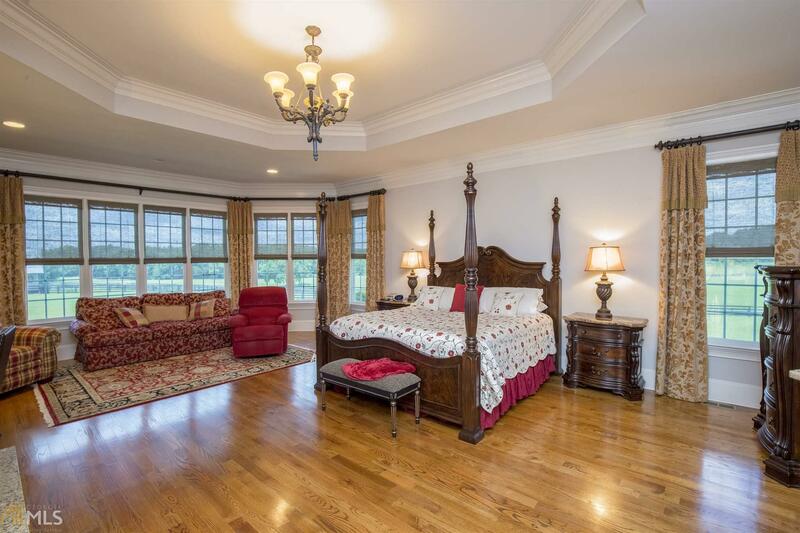 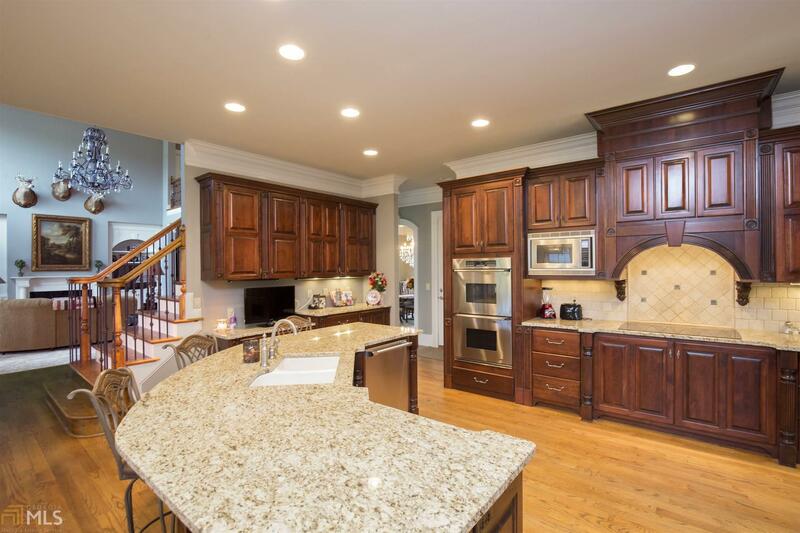 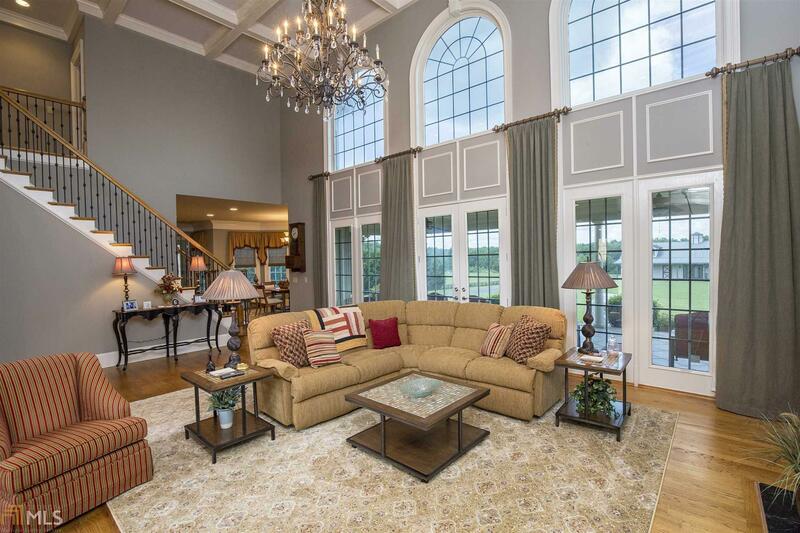 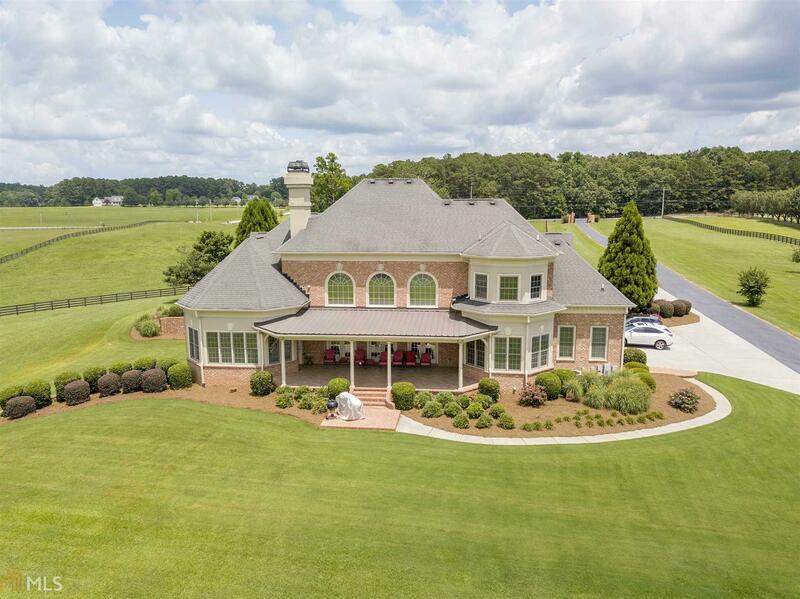 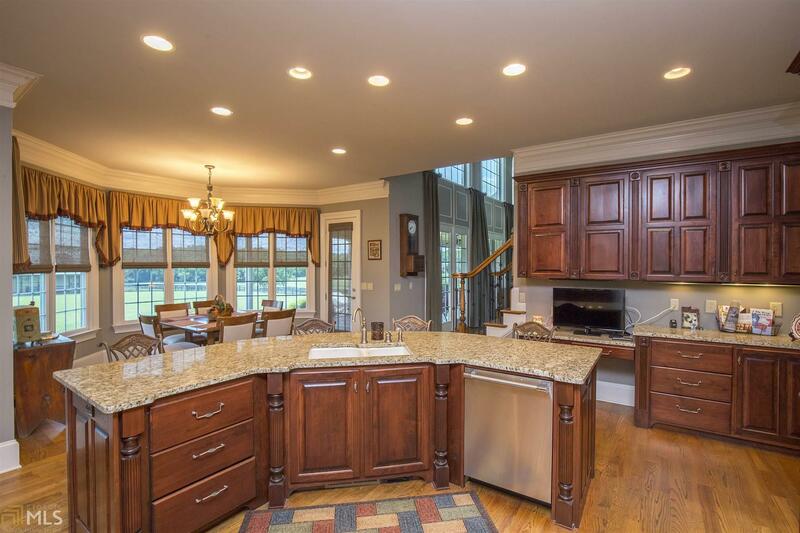 Spectacular gated Estate in Tyrone showcases a two-story home on over 30 acres. 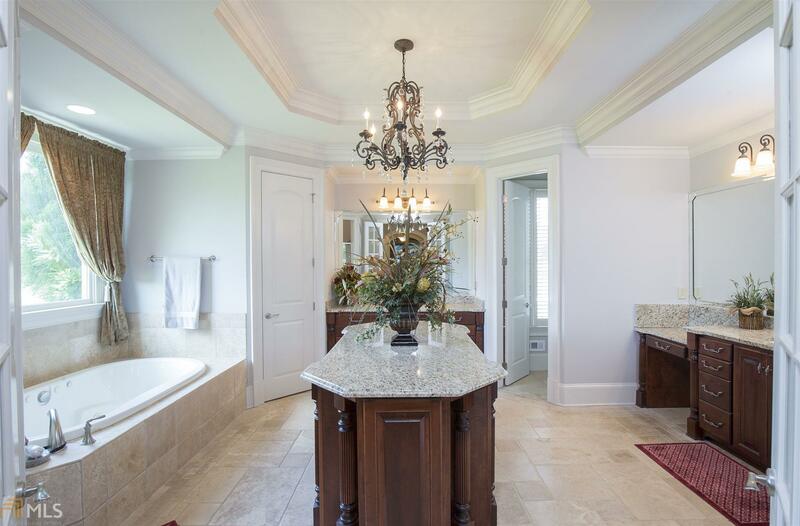 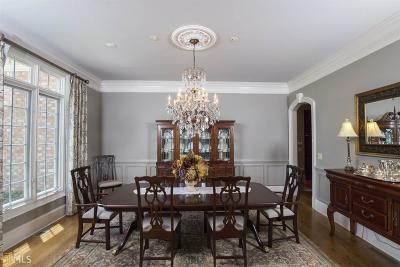 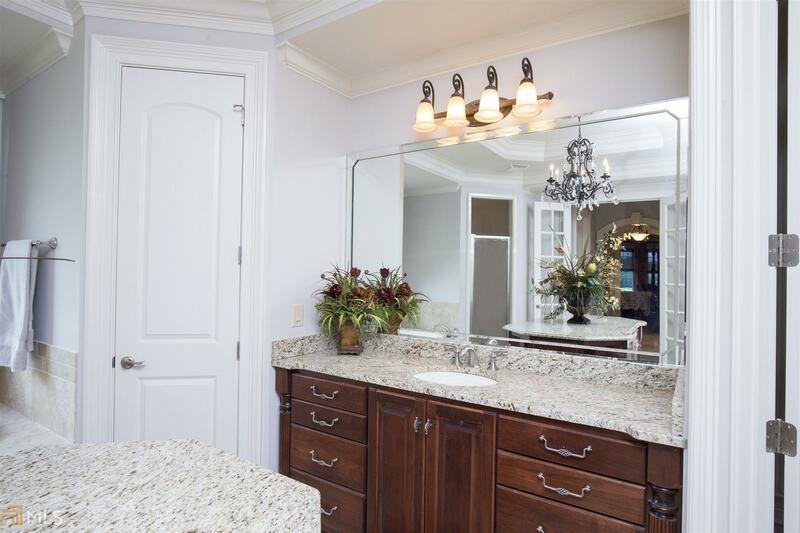 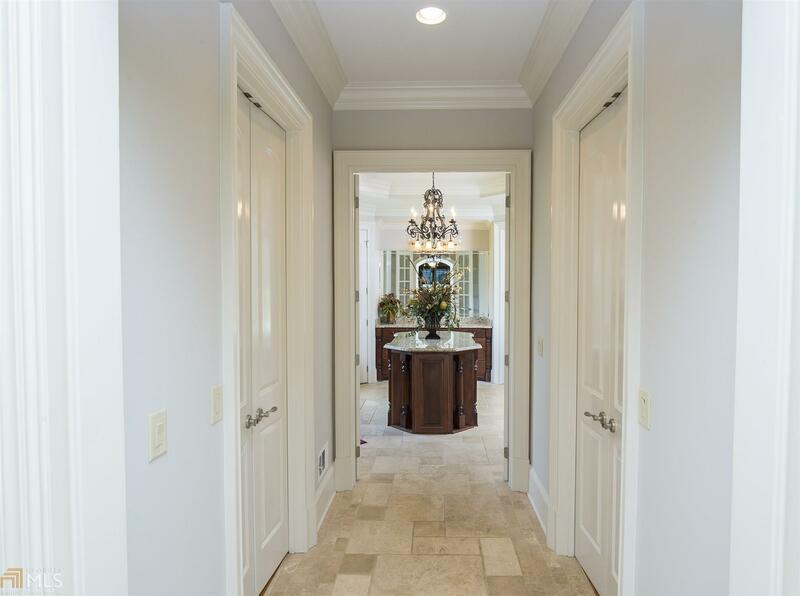 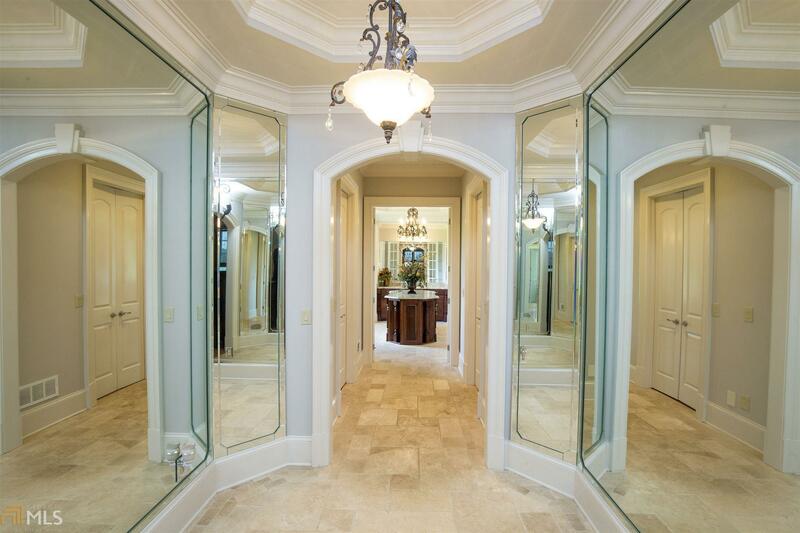 The attention to detail in the materials used are evident throughout this elegantly decorated home. Beautiful rooms with high ceilings, gourmet kitchen, impressive Master Suite located on main level and additional spacious bedrooms upstairs. 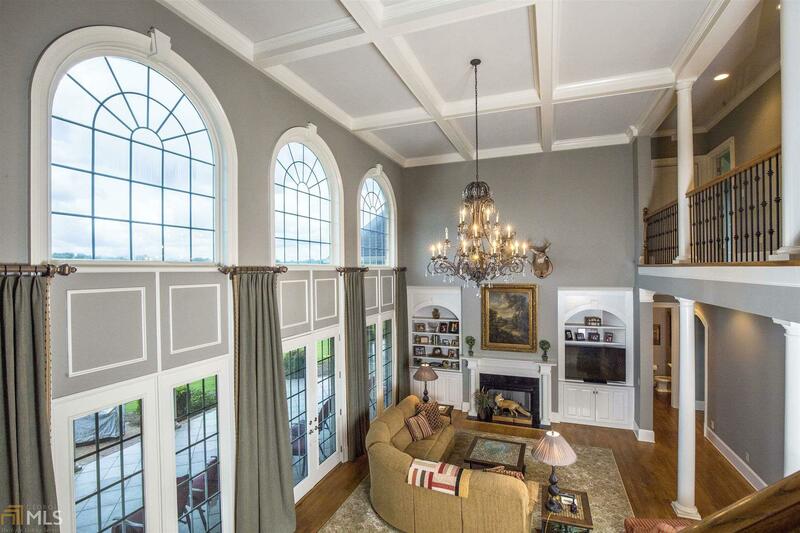 The home&apos;s terrace level features partially finished space for future media room, wine cellar, etc. all on lower level. 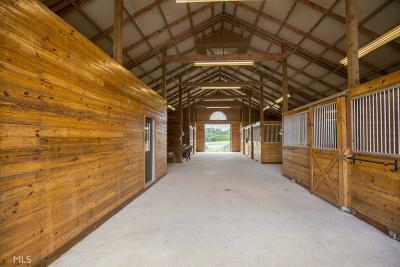 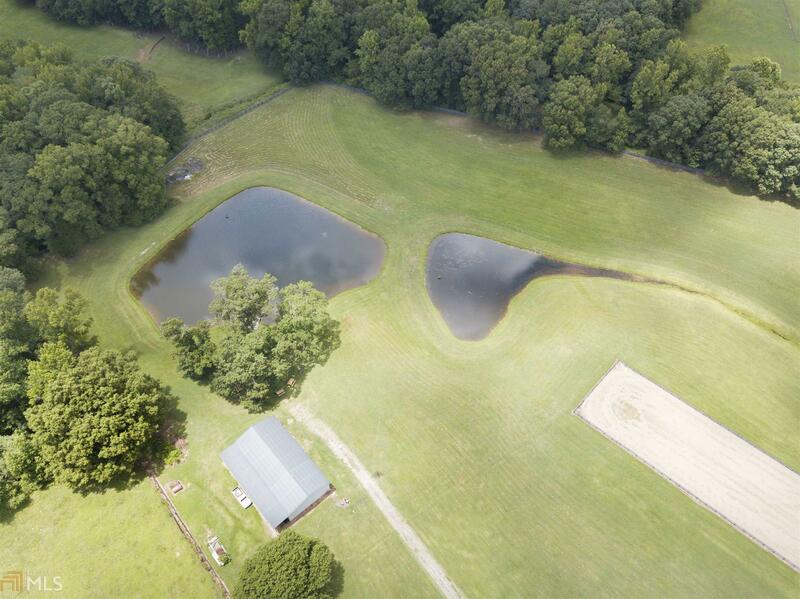 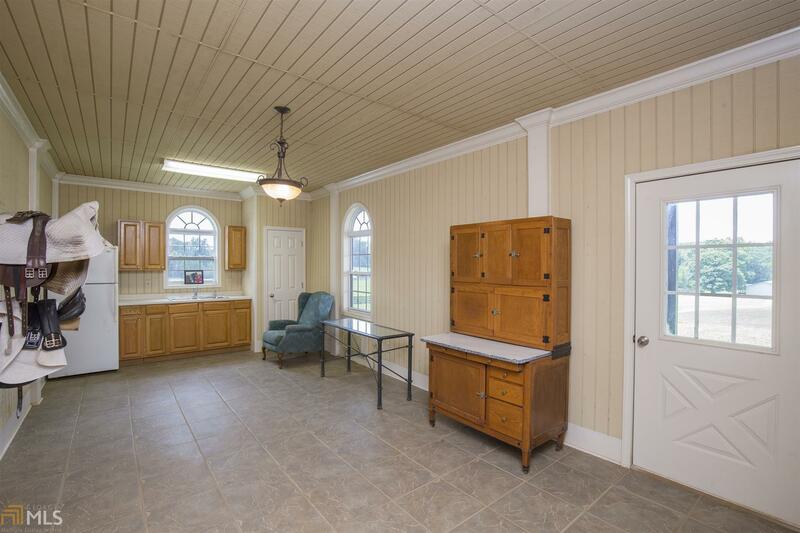 This Custom Built 2-story home also includes manicured grounds, two ponds, a barn with tack room and additional storage building. 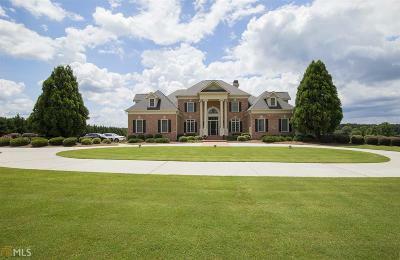 Directions: From I-85 South, Take Exit 61 (Hwy 74), Left On Sandy Creek, Right On Ellison And Estate Is On The Right.